When writing these blog posts, one of the goals we’ve outlined for ourselves is making sure we set up both our current and potential customers for success in whatever way we are able. Sometimes that success looks like giving you a timely callback and quote right after you’ve reached out to us. Other times, it means going above and beyond expectations in terms of quality of work performed, communication, and general workmanship when we are at your home or place of business. 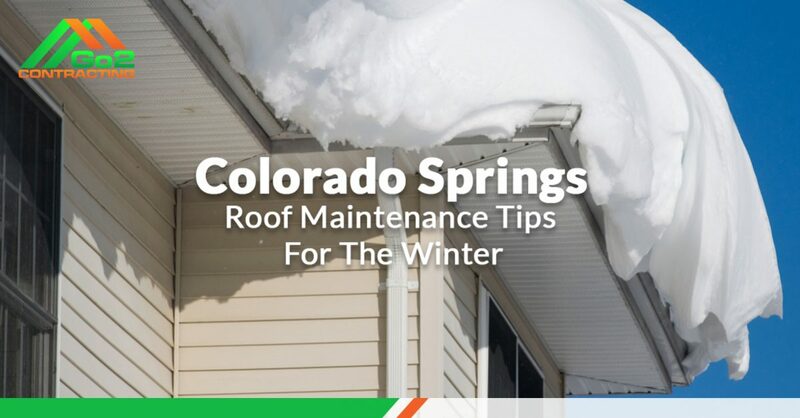 Other times, however, it can look like writing a blog about winter roof maintenance tips — it just depends on what you are looking for. Ultimately, we want to do whatever we can to help the good folks in El Paso County, Arapahoe County, Douglas County, and beyond. It just so happens that we are expert roofing contractors, so we’ll talk about that! Keep reading if you are interested in learning about how to deal with ice dams, snow buildup, and how you should prepare your roof drain! Let’s talk about ice dams. As you can imagine, it’s a good thing to check for ice dams during the winter months. But before you are able to do that, it’s helpful to know what an ice dam actually is, believe it or not. Ice dams form when heat that is escaping from the attic interacts with the snowfall on the roof. As melted snow refreezes due to temperatures dropping during nighttime, ice dams can grow as this cycle repeats itself. The unfortunate result is that the dam blocks the rest of the snow from being able to slowly melt and slide down like it is meant to. And the unfortunate result of THAT happening? Not good. As in, your roof will collapse sort of not good. And the bigger the ice dam, the more likely it is that something like that might happen. However, there’s an alternative to this gruesome scenario —- get that ice dam removed. Even if it’s a small one, and you are unable to safely break up the dam on your own, we can help here at Go2 Contracting. The US average snowfall per year is 26 inches. Colorado Springs is at 68 inches. We weren’t calculus majors by any means, but that’s 42 inches more than the average town has to account for. And when it comes to roof care, we have to be especially vigilant about ensuring that not too much buildup occurs. Maybe you are the proud owner of a single-story roof and you feel comfortable enough to remove some heavy snow on your own. You could get yourself a handy snow rake (a special tool with a handle that extends so you can push the snow to the ground without much effort while on the roof) and go to work. You can even do something like that from the ground and without a ladder in some cases, depending on the makeup of your home. 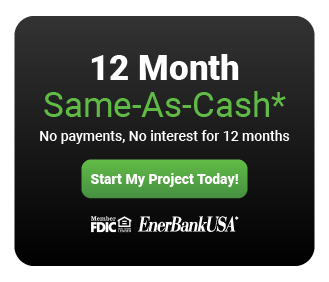 If, however, you aren’t able or wanting to do something like that on your own, you should give us at Go2 Contracting a call. As the rain (and hail) of summer turns to snow over the next few weeks, it’s necessary to have your gutter system checked and cleared so that the snow is able to melt away. If that isn’t the case, it’s possible that the whole gutter system can break, which would require gutter repair or even gutter replacement. Either way, we are able to handle what you need. Reach out to us at Go2 contracting today!